A new study by online travel agency eDreams ODIGEO looks into the emotional drivers that motivate European’s to travel. Based on findings of an IPSOS survey of over 3,600 people across seven European markets, combined with insights from eDreams ODIGEO’s own user experience laboratory, the study identifies 15 emotional drivers during the journey from inspiration to the return home, condensed into six categories. The table below shows the percentage of Europeans for whom these emotional categories are the main motivators. These motivators may vary based on the type of trip—long holidays or quick weekend getaways—and the survey group excluded corporate travelers and those traveling to second homes. But the proportion of Europeans who fall into each category reveals what is most likely to appeal to travelers through content and imagery as part of marketing strategy. eDreams ODIGEO also breaks down the results further by region. 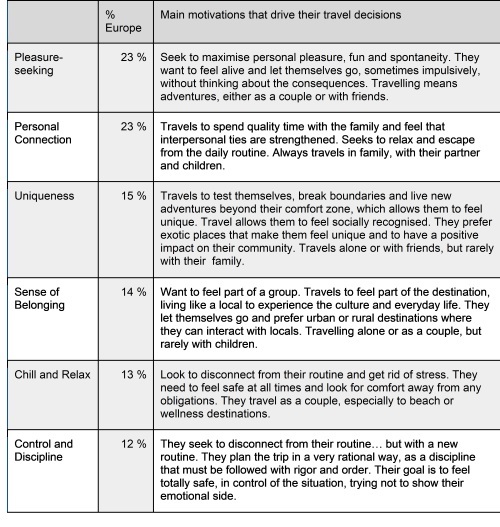 20% of Brits see themselves as more impulsive ‘Pleasure-seeking’ travellers. Feeling like you belong in a group and rest and relaxation were also voted as top priorities by an equal proportion of Brits (17%). Southern European nations (Italy, Spain and Portugal) are the most motivated by Pleasure-seeking (26%, 24% and 23%, respectively). Northern European countries such as Sweden (32%) and France (26%) look for Personal Connection. The group motivated by Uniqueness is the most common across Mediterranean countries than in other parts of Europe. eDreams ODIGEO is applying AI across its brands—eDreams, Opodo, GO Voyages, Travellink and Liligo—to predict the types of experiences that consumers want and present faster, tailored results. While consumer responses to results assist machine learning to improve personalization, the next step is to train algorithms to factor-in emotional drivers. 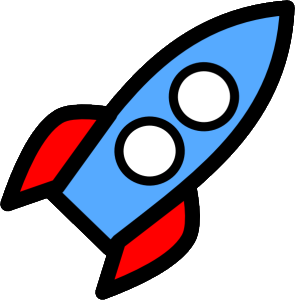 However, emotions are tricky beasts and likely to fool human intelligence as well as artificial intelligence. Advances in neuroscience are revealing both the misinterpretations of emotion across individuals and across cultures, as well as measuring engagement as a factor of emotional response to stimuli. In her book “How Emotions are Made” Dr. Lisa Feldman Barrett warns against painting human emotions with a broad brush. “The human brain is a master of deception. It creates experiences and directs actions with a magician’s skill, never revealing how it does so, all the while giving us a false sense of confidence that its products — our day-to-day experiences — reveal its inner workings. Joy, sadness, surprise, fear, and other emotions seem so distinct and feel so built-in that we assume they have separate causes inside us. [So] it’s easy to come up with a wrong theory of the mind. Another great resource on incorporating Emotional Intelligence into the design of technology is Pamela Pavliscak who specializes in design at the nexus of emotion and technology. Pavliscak discusses this topic with Weinschenk on the most recent Human Tech podcast.